The FBI may launch an investigation into whether Planned Parenthood and other abortion providers illegally sold fetal tissue, The Hill reported on Nov. 13, citing sources familiar with the document request. The FBI in recent days asked the Senate Judiciary Committee for unredacted documents it obtained from abortion providers relating to the issue, according to the report by former Washington Times Editor John Solomon. Judiciary Committee chairman Chuck Grassley, Iowa Republican, referred Planned Parenthood and several other abortion providers to the FBI for investigation after the committee’s own probe into the transfer of fetal tissue. Grassley said the Judiciary Committee investigation uncovered evidence showing abortion providers had transferred tissue and body parts from aborted fetuses to firms for use in research by charging dollar amounts above their actual costs. Under a 1993 law, abortion providers are allowed to transfer fetal tissue for research at a cost equal to the price of obtaining it, but are not allowed to sell it at a profit. The Senate investigation, and a similar House probe, came after the public release in 2015 of several undercover videos showing abortion providers or fetal tissue firms discussing how they took money for aborted fetuses. The Center for Medical Progress released the videos. Two of the firm’s executives were charged with state privacy violations for making the tapes. The charges were dropped in Texas but remain pending in California. 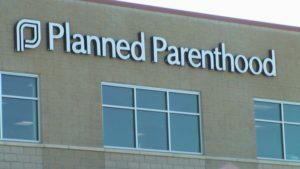 Planned Parenthood noted it has provided more than 30,000 pages of documents and several witnesses to the congressional investigations and believes it has complied with the law.